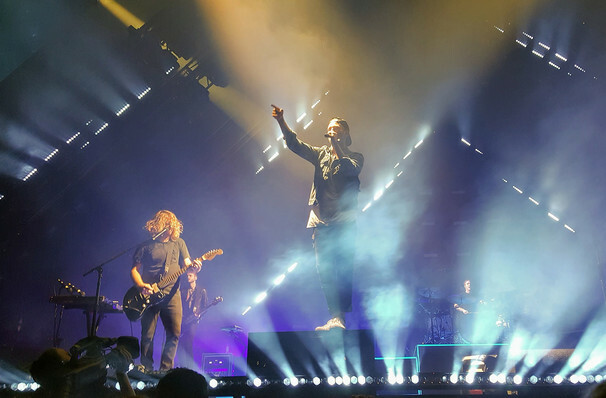 ...the crowd was ecstatic as OneRepublic's hopeful message was accompanied by a top-notch production and a spectacular light show. Why See Alice in Winterland - OneRepublic? San Francisco's home of pop culture on the radio waves Alice 97.3 presents their annual holiday spectacular Alice In Winterland, featuring headliners OneRepublic at Denver's Fillmore Auditorium, December 4th 2018. The pop rock icons return to the yearly festive bash, having played alongside Train and Los Badoleros in 2016. Formed in their home town of Colorado Springs in 2002 by frontman Ryan Tedder, bassist and cellist Brent Kutzle, drummer Eddie Fisher and guitarists Zach Filkins and Drew Brown, OneRepublic parlayed early unsigned success on MySpace into mainstream success when they released the lead single of their debut album 'Apologize' on the platform. After it was remixed by producer/mogul Timbaland the band was launched into the stratosphere, hitting platinum with the re-release and its follow-up single 'Stop and Stare'. The band are now currently gearing up to release their 8th studio album. Sound good to you? 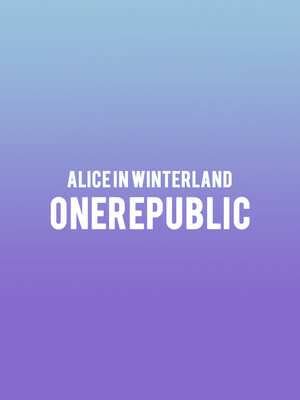 Share this page on social media and let your friends know about Alice in Winterland - OneRepublic at Fillmore Auditorium. Please note: The term Fillmore Auditorium and/or Alice in Winterland - OneRepublic as well as all associated graphics, logos, and/or other trademarks, tradenames or copyrights are the property of the Fillmore Auditorium and/or Alice in Winterland - OneRepublic and are used herein for factual descriptive purposes only. We are in no way associated with or authorized by the Fillmore Auditorium and/or Alice in Winterland - OneRepublic and neither that entity nor any of its affiliates have licensed or endorsed us to sell tickets, goods and or services in conjunction with their events.